Good morning. I hope and pray that all is well with the readers of this blog. I can’t remember if I mentioned that I was converting John Bunyan’s works to Pdf, seeing that I work 3 hours a morning on this endeavor and then work 10 hours a day at my place of employment. Anyhow, all is going well with the placing of Bunyan in Pdf format. I am almost done with his works. However, my storage space on my site has grown thin, so I may just offer the work up for a low price on Cd. This will allow me to purchase more web space. We shall see how this goes as the Lord leads me in this move. I just wanted to let everyone know that I have added a library to my website. This library will contain the works of the Reformers, Puritans and men who were gifted by God to write on the deep things of God. The name of the library is ‘Sola Gratia Library.’ So far it contains all the writings of Arthur Pink, some partial works of John Gill, and some miscellaneous writings of others. Arthur Pink and John Gill have their own page. The miscellaneous works are linked to the main page of the ‘Sola Gratia Library.’ The link to this library can be found in the introductory portion of the home page of my site or you can access the library with the links below. This will be my last update for a few weeks, as I have other things that I need to get done. I hope you enjoy the library. Over the past year, I have been away from my home and thus, away from my blog. During that time I have received countless emails, from those who follow my blog and website, of which have notified me that many links were broken on my sites. I am putting this post out today to let everyone know that all links, except for the Free Ebooks Page (1), have been fixed or deleted. Those links that were deleted will be discussed below. Sometimes in life a man must make a decision that will cause him to leave the comforts of his home, in order to better provide for his family. When a job plays out, a job which a man has been used to doing for many years, a man must seek out a job that will make him valuable in other fields of industry. That being said, I chose to go back to driving a big rig or tractor trailer for a year. Now mind you, I had not driven a big rig in 17 years however, I knew that a shortage in this industry would readily provide me with a job and after a year would make me valuable as a local driver. I have driven all over the United States in the last year. I have been in California, Washington, Massachusetts, and Florida; from one corner of the US to another. I have endured: driving in extreme weather conditions, loneliness, being away from family, missing birthdays and holidays, and being away from what I enjoy most; namely: studying theology and updating my blog and website. I have missed interacting with those, with whom I have had discussions concerning theology on the internet. So that being said, I am now back at home and seeking that local driving position. I am asking everyone to be in prayer for me that I will find a local driving job that will provide for my family and allow me to get back to studying the things of God. When I left a year ago Reformed Baptists were making strides in recovering a covenantal heritage which had been obscured or lost over time. Articles were being written, sermons preached, and Ebooks made available online, which defended what we believe, concerning faith and practice of that faith within the local Church. Articles which defended believers-only-baptism and that showed infant baptism to be an erroneous position not supported by scripture were only a click away. Sadly, this is not now the case. I have links on my website from Reformed paedobaptists. Also on my Apologetics page I have links from Catholic Apologists(2) that defend God’s existence. These links, for the most part, were still working and have not been deleted. However, among my Particular Baptists brethren, things have changed quite a bit within a year. Reformed Baptist, Particular Baptist, Sovereign Grace Baptist (5 Point Baptist those called Calvinistic Baptist) and Primitive Baptist links no longer work. (From now on I will just use the term Particular Baptist because all these branches, of what is known as Baptist, have this doctrine in common; although not all adhere to covenant theology). Articles that argued from a covenantal Baptist position or articles which proved infant baptism to be an erroneous position, not supported by scripture, have disappeared. Some articles which can be found with a search of the internet are no longer free, but one must buy some book in order to gain access to these materials. I am not saying that just articles have disappeared, whole websites which have been up and running for years, of which had free Ebooks from Spurgeon, Pink, Gill, etc… have completely shut down. Blogs that I followed which supported and defended the Particular Baptist position have been deleted. So you will notice, on my sidebar to the right, that my Blog Roll has decreased drastically. What caused these blogs and websites to completely shut down or what caused articles to be taken down and concealed inside books that require a reader to purchase them? I do not know. Did someone at the top of the ladder fall into sin and have to be disciplined? Did a huge controversy over doctrine breakout in the Particular Baptist movement? At the present time, I have no answers. The large majority of books or articles, which I thought defended our positions concerning doctrine, I possess within my own personal library. Even though I have much space within my own website to upload these materials, nevertheless to keep from infringing on copyrights, I had no choice but to remove the broken links and just allow what remains on my sites to suffice any student of theology. So to close, I welcome everyone back to my sites, as the links have been restored or deleted. (1) The Free Ebooks page links will be fixed within the next few weeks. I appreciate your patience. (2) I can hear the critics now. You mean you provide links to Roman Catholic Apologists? Yes, I most certainly do. Most of them defend a Christian worldview from a Classical Apologetics position and have some good articles against: moral relativism, the problem of evil, atheism and the defense of God’s existence, etc… Someone might say, “Well Classical Apologetics is not a good or true apologetic methodology for defending the Christian worldview.” However, this is an in-house debate, even among Protestants themselves. There is not a mutual agreement among Protestant theologians concerning epistemology. As a disclaimer: Every link on my site is not there because I agree with every position that the writer of the article holds, but is there to provide a student of theology access to topics which will increase his knowledge in all areas of theology. For instance: On my Baptismal Debates Page, I have articles linked which defend a credo-Baptist position. I also have articles linked which either critic the credo-Baptist position or that defend a paedo-baptist position. The reason being, is that a student of theology can read both sides of the argument and decide for himself which position he will take. About 6 months after I came to the knowledge of Calvinism, I made an appointment with a PCA Pastor and questioned him concerning what I was learning. I wanted to make sure that I had a right understanding of the doctrines of grace. This Pastor did not rail on me and tell me that his position was the correct one concerning all that he believed, but instead encouraged me to keep studying and told me that I needed to study baptism and church government and decide whether or not I was going to hold to credo-baptism and congregationalism or whether I was going to hold to paedo-baptism and a Presbyterian form of church government. (a) So I studied both sides of the doctrinal positions and came to a point where I decided that the Reformed Baptist position was the correct one. (a) The advise of this PCA Pastor was unlike that of the Pentecostal Pastor I sat under after I first got saved. The Pentecostal Pastor I sat under, after I first got saved, was adamant in stating that if I did not hold to every doctrine he does or if I did not interpret every scripture as he does, then I was a heretic. This is brainwashing and was not the signs of a true Pastor of a Church, but instead was the signs of a cult. I have come to realize, through study, that he was holding heretical positions. He even thinks that Martin Luther was wrong concerning being saved by faith alone. He believes, as Roman Catholics do, that salvation is through faith plus works. That was straight out of his mouth. The time for our annual January modular course is fast approaching. It will be held January 4-8 in Owensboro, Kentucky. 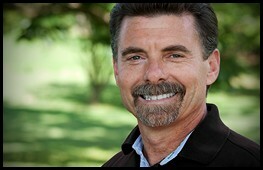 Dr. Richard Barcellos will be with us to teach Biblical Theology II. After talking with him about this course, I am assured that it will be a worthwhile time even for those who did not have the privilege of taking Biblical Theology I with us two years ago. We want to invite both pastors and others who are interested in auditing this course to attend. We are able to provide free lodging and breakfast for those taking the course, on a limited and first come first serve basis. Our course numbers have been rising over the last several years. I would, therefore, encourage you to make known your plans to audit this course soon to make sure that we can provide you with free housing. We can provide lodging beginning January 2 if you would prefer not to travel on the Lord’s Day. Classes begin at 8:00 am on Monday. Auditing will be free to pastors and members of churches that are church-partners of CBTS, but there will be a $50 auditing fee for all others. For those of you who will be with us for the Lord’s Day preceding the course, let me add that Dr. Barcellos will be preaching in our morning worship on January 3. One of our Basic Training students, Scott Autry, will be preaching in the evening. In conjunction with our evening worship, we will also be awarding Scott his degree in the MAPS program.